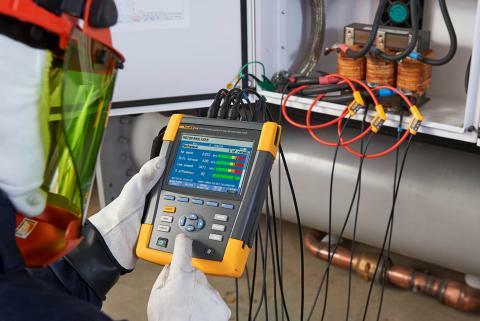 The Fluke 438-II accurately measures key mechanical elements, including speed, torque, and mechanical power—while the motor is in service—by analyzing three-phase input measurements of voltage and current. All of this is performed without mechanical sensors. When electrical analysis is combined with motor-specific algorithms, torque can be measured without halting operation of a motor. Beyond convenience, taking measurements this way allows you to analyze real operating conditions of the motor. 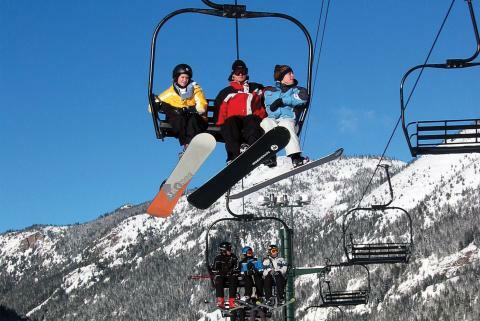 The testing is also much less invasive—on the motor and on the entire system up and down the line. The technology that makes this type of measurement possible is built into the Fluke 438-II Power Quality and Motor Analyzer. The Fluke 438-II accurately measures key mechanical elements, including speed, torque, and mechanical power—while the motor is in service—by analyzing three-phase input measurements of voltage and current. All of this is performed without mechanical sensors. The Fluke 438-II also measures the efficiency and shaft mechanical power of asynchronous motors, for direct-on-line and inverter-driven motors with variable frequency drives. 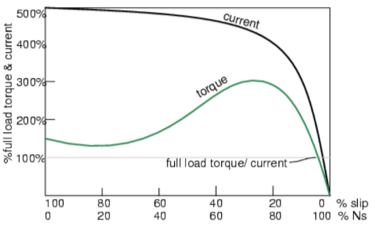 Begin by entering the motor’s mechanical parameters (figure 1) into the Fluke 438-II—these parameters determine what nameplate-specific algorithm will be used to define the torque vs. speed and current vs. speed curves. The curves are dependent from the design class of the motor. In this case (figure 2), full load current is 130A and full load speed is 1487 rpm with a slip of (1500 – 1487)/1500=0.86%. 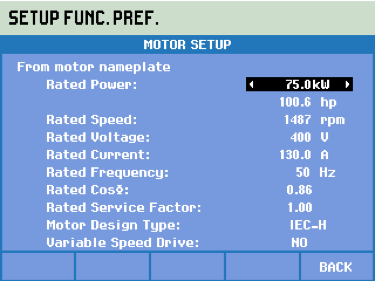 The full load torque is Pmech/rpm=481.6 Nm (rpm in rad/s). 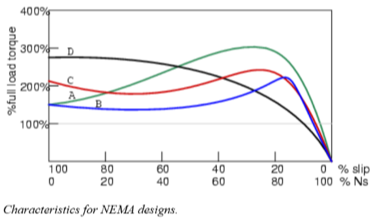 In addition to mechanical parameters, the Fluke 438-II uses National Electrical Manufacturers Association (NEMA) and International Electrotechnical Commission (IEC) guidelines to calculate motor derating caused by harmonics and unbalance (figure 3). The ability to quickly and easily identify motor performance issues is an essential part of any preventive maintenance program. 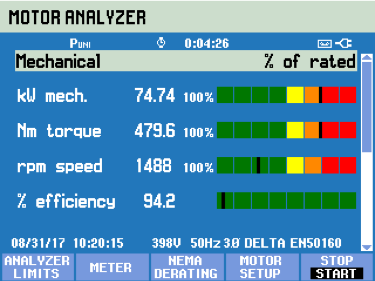 The Fluke 438-II displays colored bars that compare measured values against specified parameters, revealing which values are within or outside acceptable ranges (figure 5). Measuring motor torque without using mechanical sensors may seem impossible, yet the Fluke 438-II Power Quality and Motor Analyzer uses algorithms and measurement data to determine torque. Algorithms are cryptic to most, despite their being used to measure, regulate, estimate, and predict a multitude of everyday activities and events. A more practical approach to providing verification of Fluke’s claims that its Fluke 438-II measures motor torque accurately is to perform comparative testing. 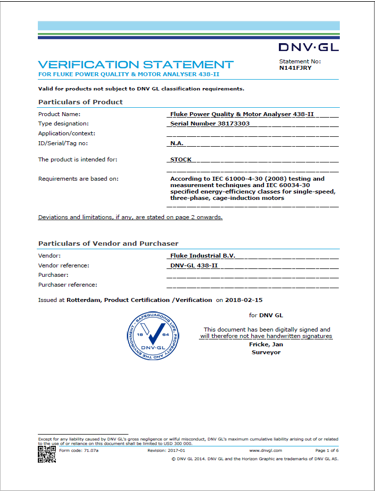 Fluke sent a Fluke 438-II to DNV GL—a global quality assurance and risk management company—for an independent and external verification of claims. DNV GL performed measurements in three different scenarios: motor counterclockwise, Fluke clockwise with swapped leads on meter, and motor clockwise with swapped motor cables. 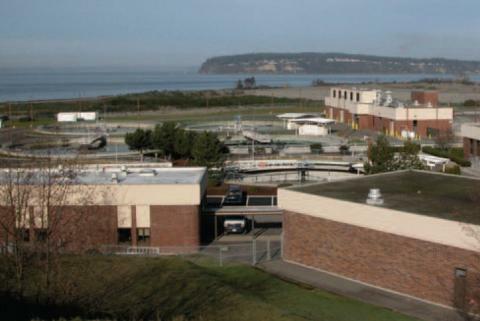 Measurements were taken using the rated power in increments of 25% up to 100%. Torque was measured using the Fluke 438-II and a common torque sensor (figure 5) and a Fluke 820-2 Stroboscope for RPM measurement. 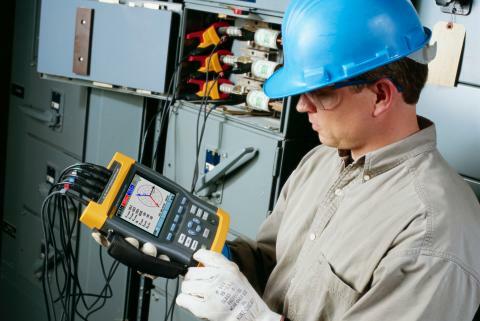 The Fluke 438-II Power Quality and Motor Analyzer accurately measures motor torque (figure 6). When compared to a common torque sensor in three measurement scenarios, the Fluke 438-II values for torque and speed were the same (within the defined parameters). In addition, the Fluke 438-II measured motor efficiency to within 1% of the values measured by sensors. Fill out our short Demo Request form and we will contact you to schedule your personal demo from a qualified Fluke engineer. You'll get a hands-on demonstration of the instrument in your workplace, focused on the measurements you need. You'll see how easy our instruments are to use, and receive training and advice on both the instrument and related accessories. So, if you buy, you're sure to select the instrument that's right for you, and get the most out of it!